Jennifer B. White has written a boatload of books, a mass of movie scripts, and, from time to time, epic poems that all begin with the words; This is a very long sonnet, so grab a drink. Go on, get on it! incense. She got to her dad in time to hold his hand as he passed away. It’s okay, she’s made peace with his death. She’d just prefer if he’d stop playing with the dining room lights. These experiences, and others like them, left Jennifer with seeds for several good stories like DEAD ASLEEP, OTHERWISE and THE WITCH AND THE DEVIL’S SON—novels that explore intriguing topics like ghosts, witchcraft, dreams, time travel, reincarnation, and the lines between life and death. 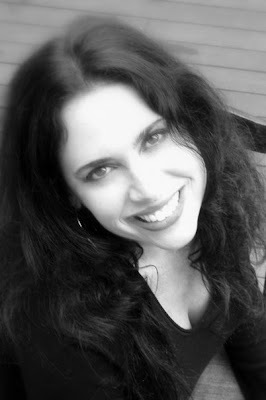 As well as penning novels, Jennifer is a screenwriter and Hollywood tagline writer. She lives and writes in Boston, Massachusetts, when she’s not in Los Angeles, California working on movies. She holds a BA in communication and an M.Ed in psychology. She has three boys—all were born in late October, the youngest on Halloween. You can follow her on Twitter @nakedhollywood where she exchanges pithy comments with the celebrities that follow her. She’s also on Facebook because she enjoys seeing what people are eating for lunch. Jennifer responds personally to all her emails and tweets. It’s just the way she was raised. Go figure. I’m bi—long pause for effect—coastal. As well as penning novels, I’m a screenwriter and Hollywood tagline writer, so when I’m not in L.A. working on movies, I live in New England, where I was born and bred. I’ve been writing since Aardonyx roamed the earth. Every now and then I have a little dialogue with my computer that goes something like, “You’re still here?” I get back a blank stare and a blinking cursor that seems to shrug and say, “Well? What else are you gonna do?” Fair enough. I was ten-years-old. I’d never heard the term “folktale”—a narrated story to entertain a group of listeners. But, that’s exactly how I began my creative dream—as a storyteller in the woods. Back in the day of knock-on-door neighborhoods in the suburbs of Massachusetts, I’d gather with a group of wide-eyed kids, along with my side-kick little sister. I told stories—often about ghosts, witches, and anything spooky—making them up as I went along. I started writing novels at the age of twelve on my mom’s old IBM Selectric. As the family keeper of all things old and nostalgic, I held on to those precious works of fiction like they were a Buccaneer’s Booty. After college, I signed with my first literary agent, (including my present agent, I think I’ve had close to eight in my career) and went on to become a public relations professional. I headed up PR in Boston hotels and top agencies where I was published in hundreds of publications throughout the U.S. I continued writing novels throughout my career, and, through a series of fortunate encounters, began writing for Hollywood. Although writing is everything that I do, I consider myself a storyteller first. I’ve written 6 novels, 3 are available online (paperback, Kindle and Nook), and in bookstores: Dead Asleep, Otherwiseand (young adult) The Witch and the Devil’s Son. I’m in the middle of writing a movie script and a new novel right now. I like each of my books for different reasons, but I’d say Dead Asleep remains my favorite. As a woman, it’s not often you get to write in the first person as a man. In my master’s program I took a course on Behavior Modification. It teaches you techniques to increase good behavior, or decrease undesirable behavior. It works great with pets… and children. And husbands. For those who are unfamiliar with your novel; Dead Asleep, how would you introduce it? Dead Asleep begins with the protagonist, Kevin Macy, talking about being dead. The reader is pulled into 45 year-old Kevin Macy’s world, as he narrates the story of his life and how he died, beginning with the morning he woke to discover that strangers were sharing his dreams. He discovers that while he sleeps he must undo events from the past to prevent a cataclysmic disaster. With help from Claire, a narcoleptic, he takes a sleep-journey into the past and future affecting so many lives—including his own. Dead Asleep rides the razor’s edge between dreaming and wakeful states, the past and the future, and the lines between life and death. What’s one thing that readers would be surprised to find out about Kevin? The character of Kevin Macy came to me fully developed, and with loads of attitude. Naturally, I told him where to go. When he didn’t go there, I had to write him—and his story—onto paper. That man is very persistent. Which character have you enjoyed getting to know the most over the course of writing? “He’s my new friend, mama,” Peter said excitedly. “He needs a job. Can he stay for dinner? He’s going to do Aunt May’s jigsaw puzzle with me!” I felt like a stray dog Peter had found, fed, and was now asking if he could keep. I have to write a sequel. Kevin Macy is a pain. He wouldn’t have it any other way. I have projects that will take me into next year, and the year after that. While I’m preparing sequels to Otherwise andDead Asleep, I’m also writing a new Young Adult/Crossover that’s the first in a trilogy and will have accompanying movie scripts. Last year, I spent six months researching information for an upmarket/literary novel based on true events—I’ll be working on that this year as well. I continue to write movie taglines and scripts and, when possible, make entries on my blog at www.JenniferBWhite.com. Plus, I still get to do laundry! Any recent appearances that you would like to share with us about/any upcoming ones? Over the last three years, I had the wonderful opportunity to attend dozens of Universal Pictures movie premieres from Scott Pilgrim and Skyline to The Wolfman and Hop. Although before I hit the red carpet again, I’ll probably be standing on a Barnes & Nobel carpet to sign books in person. After this book blog tour is done, I’ll be traveling to sign books on an Author Tour. Check my website for details on the dates, times and places. The truth is I watch at least one movie every day. (I watch a wide variety of genres.) I tend to watch movies more than once, like Adaptation with Nicholas Cage. I can relate to that movie, since adapting your own work for film involves a lot of vodka. The other night I watched Another Earth. It’s a great movie that really didn’t get as much attention as it should have. I’m a fan of cult classics like Harold and Maude. I watched it as a kid and knew I wanted to be involved with movies. I’m planning on watching The Girl With the Dragon Tattoo (American). I watched the original Swedish version when it was first released and loved it, so I can’t wait to see how they changed it for an American audience. To learn more about me, Jennifer B. White, go to http://www.jenniferbwhite.com. You can follow me on Twitter @nakedhollywood http://www.twitter.com/#nakedhollywood where I exchange pithy comments with the celebrities, bloggers, readers and witty social media fans that follow me. I’m also on Facebookhttp://www.facebook.com/pages/Jennifer-B-White/209735989086451 because I like posting pictures of my meals. If it were possible, I’d never sleep again. Everyone was talking about my dreams—even though I hadn’t told a single soul about them. Wherever I went, strangers were discussing my nocturnal visions. I wanted to chalk all of this up to coincidence, but then, only minutes after a chance encounter with a young woman I didn’t know, after she told me in perfect detail of the dream I’d had the night before, she was killed. And I knew I’d have to figure out what was happening to me. My only hope was a woman who had a knack for falling dead asleep. With help from Claire, a narcoleptic, I would have to take a sleep-journey into the past and future affecting everyone’s life, including my own. Some things to know about me—my name is Kevin Macy and I’m a partner in an ad agency in Boston, Massachusetts. I’m divorced, I smoke, and I’m an accomplished alcoholic. Not that it has anything to do with my story, but it’s part of who I am. And in the course of reading about these supernatural and bizarre events, those things will factor in. Another important note—and this you will have a hard time swallowing, I’m sure—while on this strange journey of discovery, I died. And I mean that in the realest of ways—dead as a door nail—bought the farm—kicked the bucket. You get the picture. Of course being dead didn’t “stick,” otherwise I wouldn’t be able to tell you my curious tale. Thank you Jennifer & Stew for making this giveaway possible. 1 Winner will receive one copy of Dead Asleep by Jennifer B. White. My first favorite books as a child were Are You My Mother? and Green Eggs and Ham. As an older child I loved Alice in Wonderland and the Anne of Green Gables series. Thanks for the post & giveaway! I remember going to bed every night with a stack of the hard cover Sesame Street books. After that I remember reading the Little House series starting in first grade. The Scarlet letter, i think... I'm sure there was something prior to but, that one sticks out in my mind for some reason. The very first I remember was The Boxcar Kids a wonderful children's series. My first book I remember reading was "Pride and Prejudice" by Jane Austen. whinnie the poo :) i think lol. The first book or story that I remember reading....I think it had to be The Pokey Puppy. I loved that book! My mom used to read to me until I was 8 or 9, but the first book I read alone was She By H. Rider Haggard.